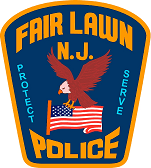 On April 17, 2003 at approximately 10:00 pm, the Fair Lawn Police Department responded to assist the Clifton Police Department who were involved in a vehicle pursuit that ended with a motor vehicle crash in Fair Lawn. Officer Collura arrived first on the scene and began to assist Clifton Officer Steven Farrell in attempting to subdue the actor. While doing so, the actor produced a handgun firing shots, striking & seriously wounding Officer Farrell and fatally wounding Officer Collura. The actor temporarily escaped capture and was killed in a shootout with Deputies from the Hernando County & Sumter County Sheriff's Department in Florida 3 days later. Officer Collura, 43, was an 18 year veteran of the Fair Lawn Police Department, beginning her career on January 2, 1985. Prior to her appointment to the police department, Officer Collura spent three years as a volunteer with the Fair Lawn Police Reserves. Officer Collura was born in New York City. She was a graduate of Fair Lawn High School and had attended William Patterson College. She was a life-long resident of Fair Lawn and Fair Lawn’s first female police officer. Being a police officer was her life’s dream. Officer Collura was a certified NJ Police Training Commission instructor and had served as one of the department’s firearms officers and armorer. She was also certified as a Police Carbine Instructor. She had been a member of the Bergen County Rapid Deployment Force for 5 years. She was a Delegate to the New Jersey State P.B.A. Officer Collura received numerous awards including a departmental Meritorious Service Award and the Hackensack University Medical Center EMS Excellence Award for saving a life with a defibrillator. She received numerous commendation letters from the community for her prompt, courteous, and thoughtful service. In 1999, it was Officer Collura’s suggestion that the elementary school children be given glowing light sticks to wear at night when trick-or-treating. Her project has been repeated every year since. Officer Collura is survived by her brother Paul, and her sisters Patricia Snyder and Linda Hughes. 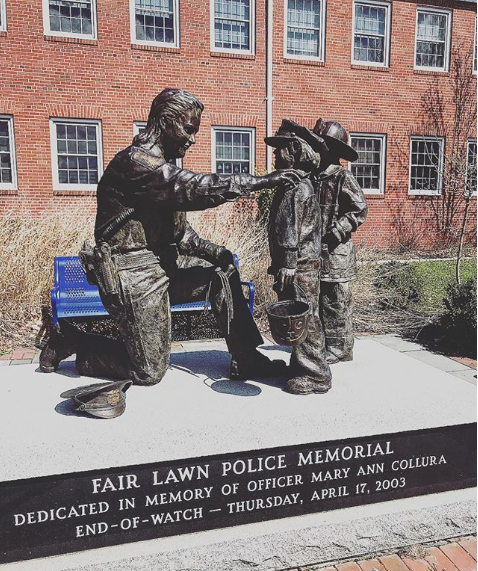 Mary Ann Collura was a well-respected and well-loved member of the Fair Lawn Police Department. She will be sadly missed. 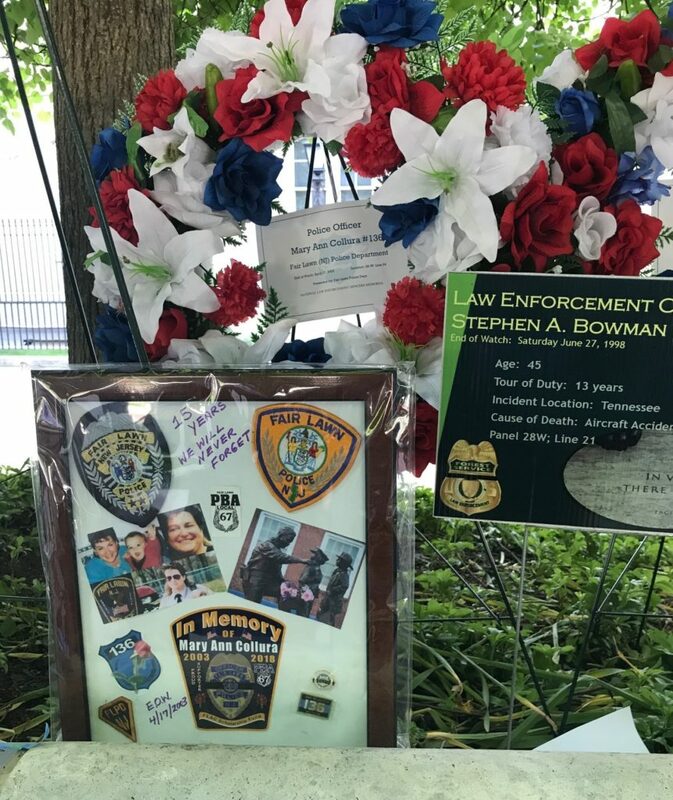 Officer Mary Ann Collura’s name is engraved on the National Law Enforcement Officer’s Memorial in Washington, DC (Panel 28, W-24). FLPD Officers pay their respects yearly during Police Week. Law Enforcement has lost another hero, may she rest in peace.